Have you ever been sound asleep and the phone rings and wakes you up at some absurd time from a totally peaceful slumber? Do you have friends who should know better but call at the wrong time and wake you up anyway? Today’s five goes out to you. Although their name may be reminiscient of a sound you’ll hear on the new Radiohead album, Squaaks music is not. Their bio describes their sound as “crunchy guitars, a driving rhythm and catchy melodies” and it’s right on the money. 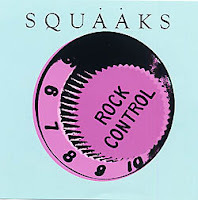 Their new album Rock Control is part sixties garage rock, part eighties post punk with songs that are catchy and often lighthearted. They’re also not afraid to show they have a sense of humor, check out the opening track of the disc, Two Hippies, and you’re sure to crack a smile. 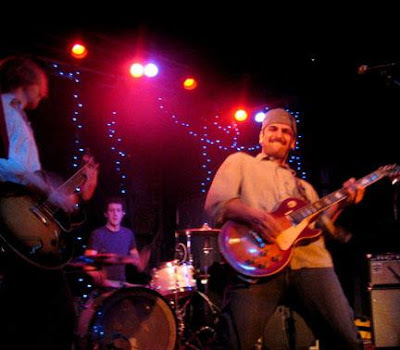 Catch ’em this Friday in Philly on the bill with American Princes, The New Motels, and The Sw!ms at The Khyber.